Step 1: Use this screen to create missing items from your Online Store into QuickBooks. Unify Desktop will pre-fill all the values it has available from the online store. Fill out any missing values and click the "Save" button. Repeat for all other missing products. Once the values are filled in, the item status will change to "Ready to Transfer". You can then click the Transfer Products button to transfer the product. Step 2: Use this screen to create missing items from QuickBooks to your Online Store. Unify Desktop will pre-fill all the values it has available from QuickBooks. Fill out any missing values and click the "Save" button. 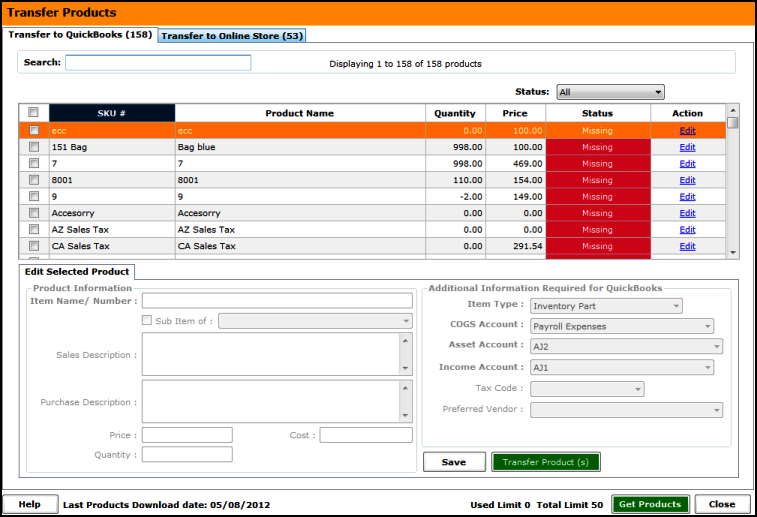 Repeat for all other missing products or select multiple products and edit them in bulk. Once the values are filled in, the item status will change to "Ready to Transfer". Once done, click on Transfer Products button. I just added 12000 products to my store. Is there a way to transfer all of them into Quickbook at one time or do I have to do them one by one? I would advise to do transfer them in small batches of 20 - 50. 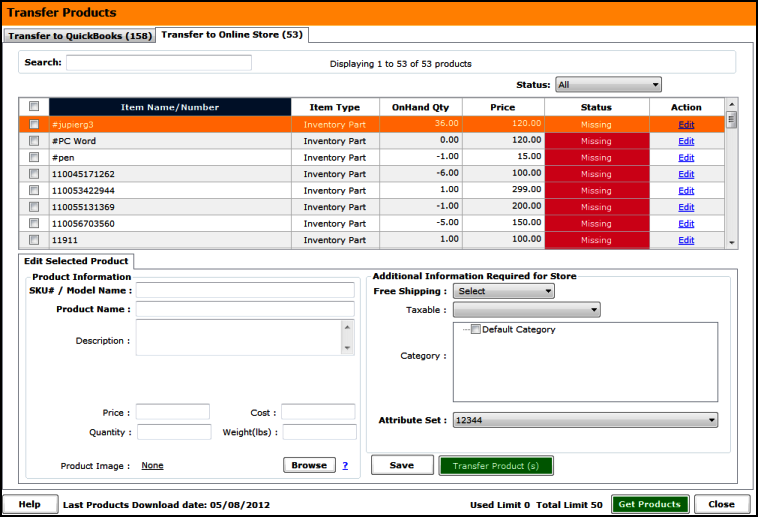 If you have organized your SKUs in to specific inventory groups, you can transfer these batches easily.